"The new Milton & Fulston Utd disability squad, known as Milton & Fulston Spiders were originally formed in a joint venture between Newhouse Football group for adults with learning difficulties and East Kent Mencap. Newhouse youth centre regularly hold sessions every Friday. With the help of the Kent FA, they formed a team to enter the Kent FA Disability league, originally entering in division 3, under the name of Sittingbourne Spiders FC, competing against teams from all around the county including teams from professional clubs such as Charlton Athletic and Gillingham FC. After a couple of successful seasons, including finishing runners up in their division for the 2013/14 season, they had got to a point where they couldn’t expand or expect East Kent Mencap to handle their administration. With the advice of the Kent FA, the Spiders were advised to look for a parent club at the same time that Milton & Fulston Utd were looking to diversify into disability football. Milton & Fulston Utd have now taken on responsibility for all matters concerning the disability football and are really looking forward to the new season and having a Milton & Fulston side competing in the Kent Disability League for the first time, with a view to possibly expanding to a second team at a later date." 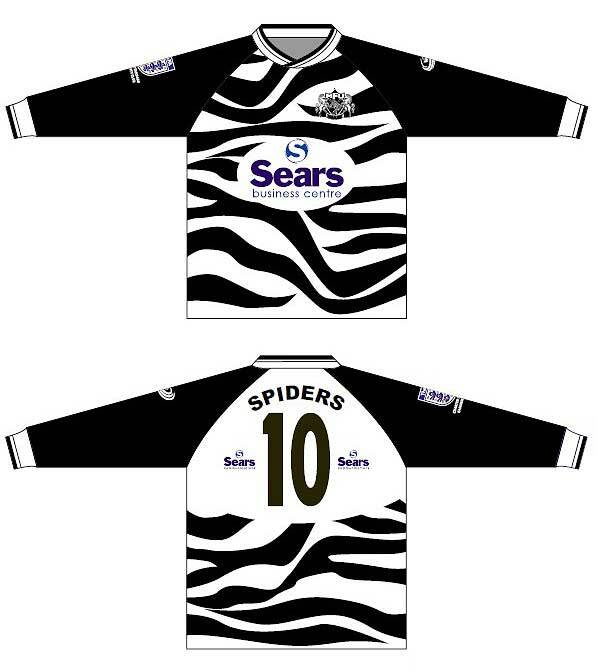 "We are very happy that the Sears Business Centre are providing their support to the team this year” said club chairman Jon Hodges.